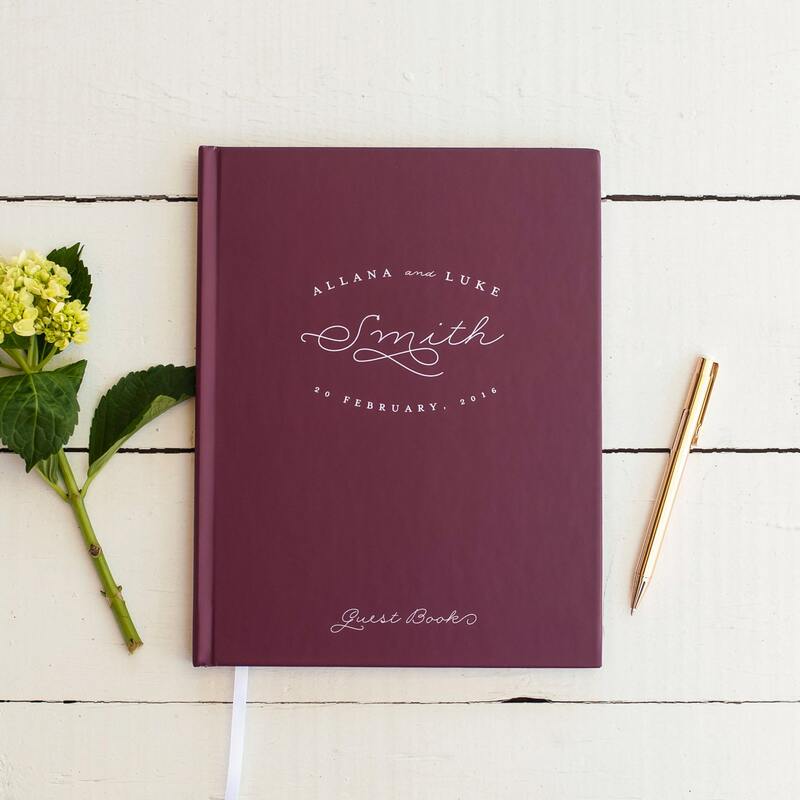 This hardcover wedding guest book is personalized in a classic monogram design featuring your names, surname, and wedding date. 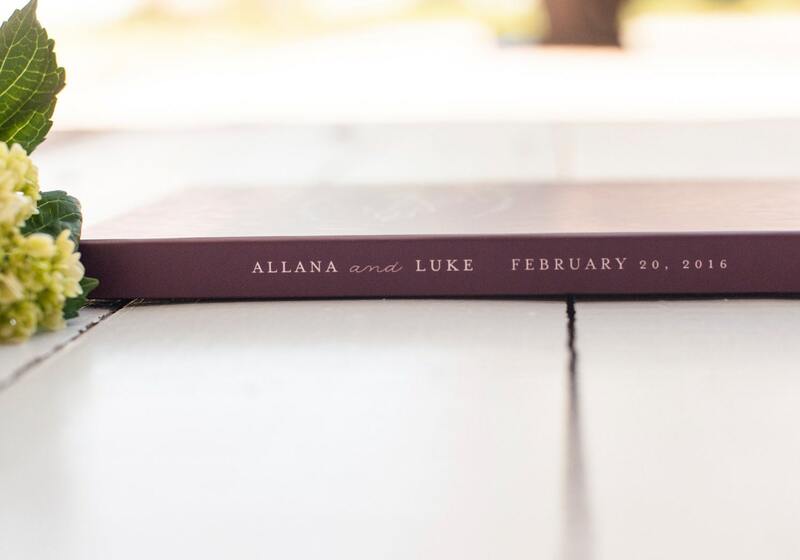 This keepsake hardcover book is casebound and made to order for your wedding reception in your choice of three book sizes and three page options. Each book is ready to collect signatures and well wishes on your big day with acid-free papers and solid construction. 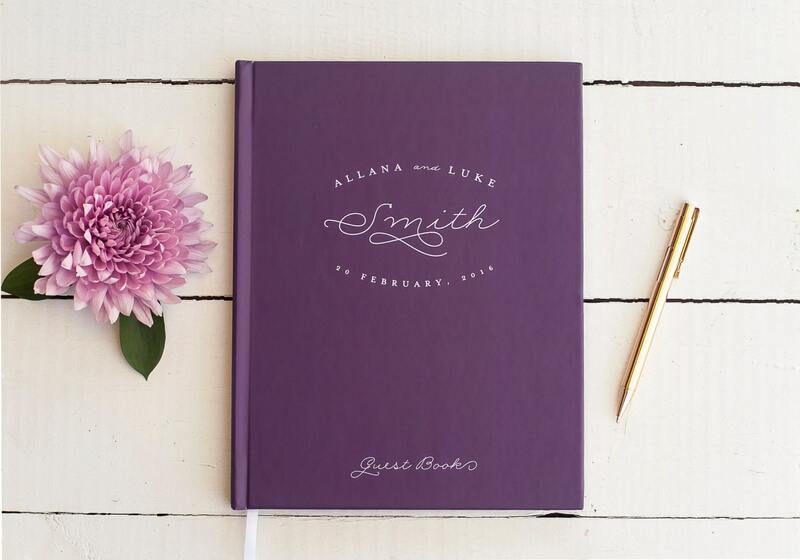 A great keepsake gift for the happy couple, it can also be used as a bridal shower guest book or wedding shower gift - if you'd like to modify for another event, please contact us prior to ordering for options and so we an assist you.